Heirs of Isaiah Hart initially sold the park to the City of Jacksonville for $10. 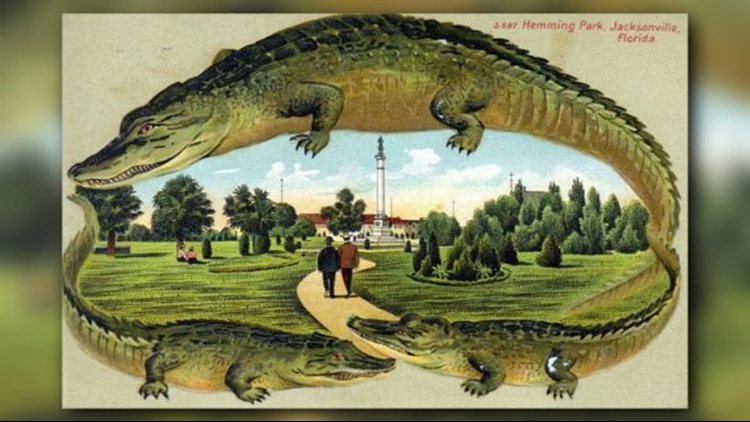 Now, the park serves as an iconic cultural staple of Downtown Jacksonville. One of the most iconic parks in Jacksonville is turning 153 after a vibrant history filled with controversy, disaster and triumph. Hemming Park in Downtown Jacksonville celebrated it's 153rd birthday on Wednesday with music, live performances and food trucks. The event page reads, "We may be really, really old but we think we are getting better and prettier every day!" 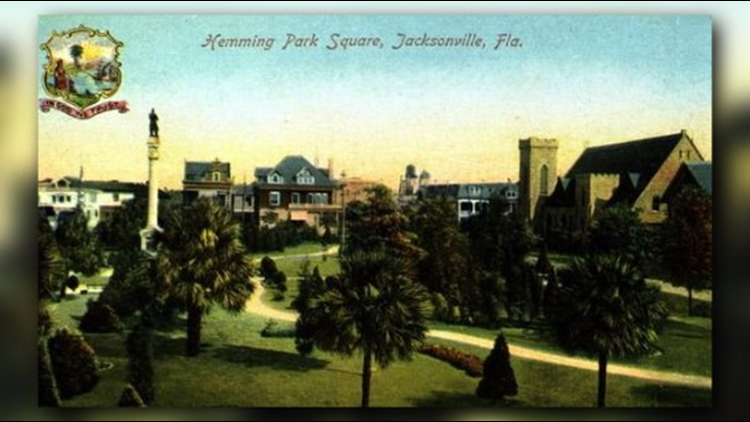 According to the Friends of Hemming Park (FOHP), the public square stretches 1.5-acres across the center of the city and is Jacksonville’s first park ever. Since it's creation, the site has been home to a wide array of significant historic events. Hemming Park Square- Jacksonville, Florida. 19--?. Color postcard. State Archives of Florida, Florida Memory. Accessed 23 Jan. 2019. FOHP says land for the square was sold to the city in 1866 by Isaiah Hart’s heirs for a mere price of $10. Soon, the park became a cultural center of the city, transforming the heart of downtown landscape forever. 1866 Heirs of Isaiah Hart sell the park to the City of Jacksonville for $10. The park is known as City Park. 1869 The St. James Hotel is constructed across the street and the park is renamed St. James Park. 1899 Civil War veteran Charles C. Hemming donates a monument to the park, which stands today in its center. The park is renamed Hemming Park. 1901 The Great Fire of 1901 burns and destroys most of Jacksonville’s urban core. The Charles C. Hemming monument is the lone structure left standing in the park. 1977 Hemming Park undergoes a transformation into a plaza. Bricks and pavers are introduced, covering the lawn and natural landscape. The park is then named Hemming Plaza. 2014 Friends of Hemming Park is awarded a contract to manage the plaza using placemaking, events, programs and new amenities to revitalize the public space. The plaza is renamed Hemming Park to reflect the aspiration to introduce more green space and encourage a greener, friendlier, more natural atmosphere. While remembering Hemming Park's past, we can also explore more recent events where it has made a mark on history. Here are some of the stories First Coast News has covered about the park.